Image taken by Dino Vlahakis at the dedication ceremony. Image taken by Bob Eccles at the dedication ceremony. 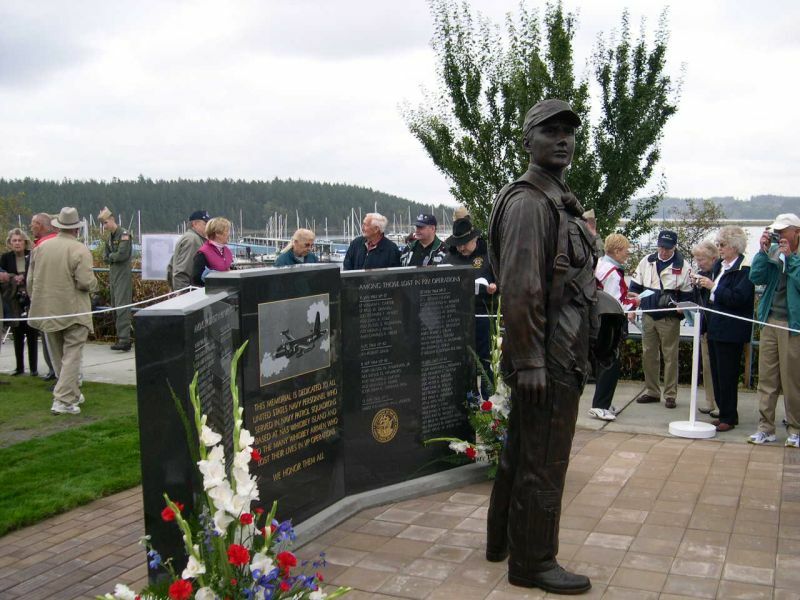 The principal speaker at the Whidbey Patrol Squadron Memorial dedication ceremony was the Commander of Patrol and Reconnaissance Wing Ten, Captain David M Taylor. The transcript of his message is here. 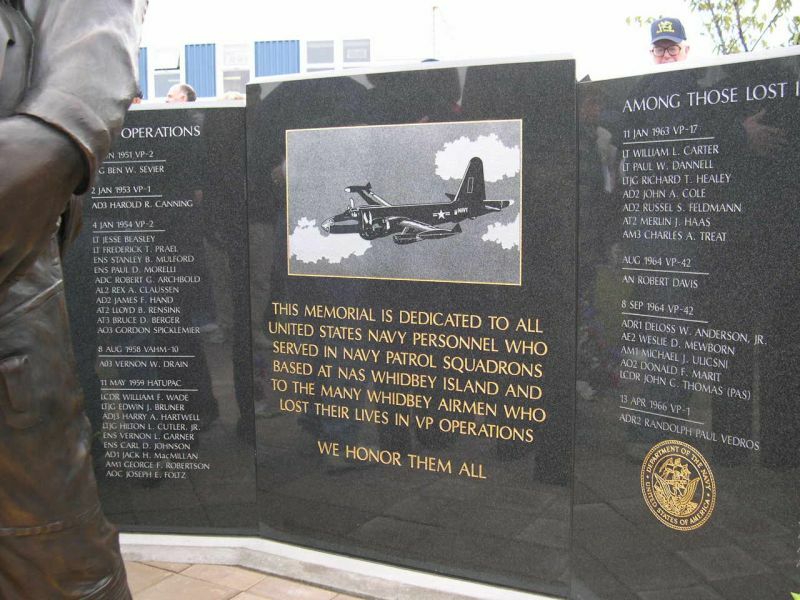 A video of scenes from the Whidbey Patrol Squadron Memorial dedication ceremony remembering VP-2 Crew 12 is here, Courtesy of Bill Laux. Download the file and play it in Windows Media Player. A fast connection speed is desireable since the file is 5.3MB in size. More images to follow - Click on the image for a larger version. 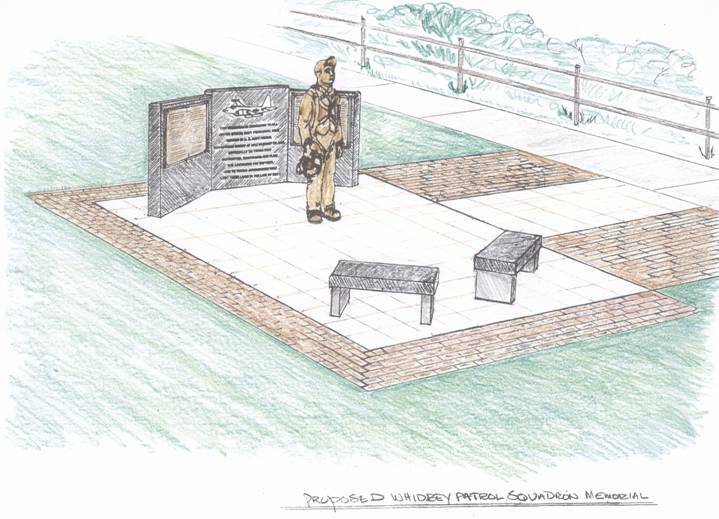 The Whidbey Patrol Squadron Memorial has a single, simple purpose: The recognition of the contribution to freedom that the men and women, along with their families, of the NAS Whidbey Island patrol squadron community has made in over 60 years of service. This long span has involved thousands of people, some flying, some in support activities, some at home worrying and waiting. Their service has spanned the globe as well as the years. From the Aleutians and northern Japan operations of WWII, through Korea, Vietnam and Cold War missions, to the present in Afghanistan and Iraq, Whidbey patrol squadron personnel have been there, doing their part to preserve liberty for all.